With a selection of gift ideas spanning the entire year, not to mention every budget, you’ll be able to make the holidays sparkle, whatever the season. 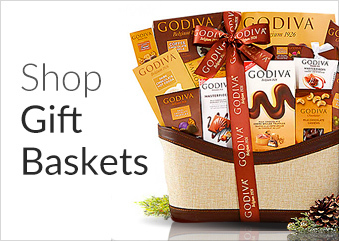 At CorporateGift.com, you can easily shop online year-round for everyone on your holiday wish-list – our collection of holiday gift baskets simplifies gift-giving for all of your corporate and business needs. Whether you’re looking to purchase holiday gifts for your own office or a luxury gift set for an esteemed client, we’ve got you covered! 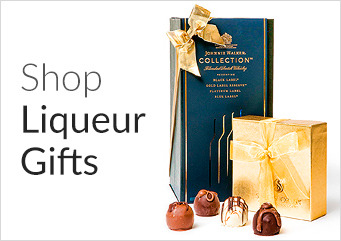 Choose from budget-friendly stocking stuffers and holiday-themed gifts to high-end deluxe gift baskets, featuring well-loved products from brands like Godiva, Lindt, Ghiradelli, Seattle Truffle Company, Perrier Jouet, and many more. Who Says You Can’t Do All Of Your Holiday Shopping In One Spot? No matter what the occasion, we carry a premier selection of holiday baskets and sets fit for every season, including gifts appropriate for Christmas, New Year’s, Valentine’s Day, Easter, corporate events, and birthdays. Questions about our products? Contact us today, either via e-mail, phone or live chat – our Customer Service representatives will be happy to assist you. Our Holiday Favorite gift basket is about as festive as you can get – featuring whoopee pies, cupcakes and iced cookies in red and green, they’ll love this seasonal treat! If you’ve got a large corporate office on your holiday list, our Grand Indulgence Gourmet Gift Basket could easily be from Santa’s workshop – featuring a luscious assortment of sweet and savory goodies, this is a real crowd-pleaser. Whether it’s a gift for your own office or a favorite client, our Fairytale Brownies Easter Sprite 24 Gift Box makes a delicious indulgence. What’s not to love? Cupid himself couldn’t have created a more decadent basket – featuring an assortment of snacks, candies and cookies along with a bottle of Nicolas Cabernet Sauvignon, you’ll be sure to impress colleagues and clientele alike with this sumptuous gift basket.